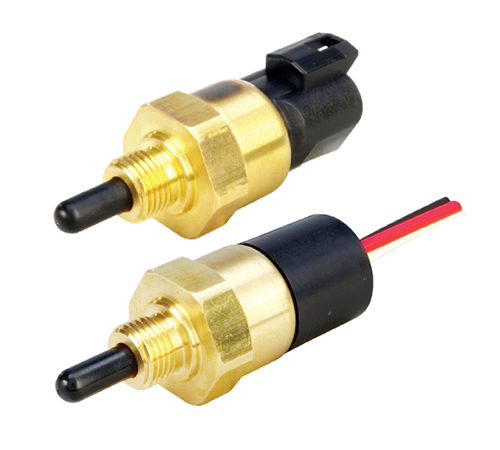 Gems® type CAP-300 capacitive level sensors are durable and reliable point level sensors. Compatible with coolants, the CAP-300 is the ideal OEM solution for power generation equipment, off-highway vehicles and cell phone tower generators and can be mounted in any position. With nearly zero maintenance, the sensor is small in size, tolerates coating, and will remain reliable even in standby mode. Available with a variety of mounting types and electrical connections, the CAP-300 is the ideal solution for coolant monitoring. Gems® type LS-1900 large size switches are made from alloys and are a step above the plastic units for pressure capabilities. They provide excellent stability for general use in oils and water. The 1900 series has large float displacement, withstands rough service, and is suitable for high viscosity liquids. Gems® type ELS-1150 switches are the highest performing electro-optic level switch from Gems. At just 1.38″ long, the ELS-1150 has been upgraded with a micro processor board designed to provide a wide range of capabilities including sinking, sourcing, and time delay outputs. The compact size of the sensor makes them indeal candidates for monitoring the small, pressurized vessels found in HVAC, refrigeration, and hydraulic applications. The stainless steel version (ELS-1150SS), is excellent for applications requiring corrosion resistance and is ideal for acids, solvents, and dielectric water applications.